Sign up for Broadjam today to follow Cannon X, and be notified when they upload new stuff or update their news! Cannon X was inspired to make music after listening to an instrumental album by Adam Horovitz a.k.a. Adrock of the Beastie Boys. Horovitz put together an album that included funky instrumentals and released them as a side project with his band BS 2000. 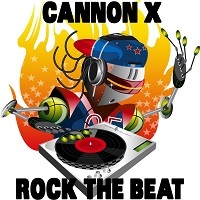 Cannon X is now making instrumental music too. The music he creates introduces a new sound that mixes electro and breakbeat with a hip-hop influence. Some of his music has already been featured on mtv.com and Sirius XM radio. Check out the new single PARTY DON'T STOP, it will definitley get you moving.